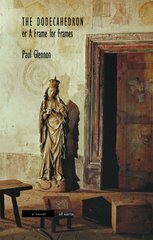 Paul Glennon is the author of the award winning Bookweird trilogy. Before turning his hands to kids books, Paul published a collection of stories: How Did You Sleep? and the novel The Dodecahedron which was shortlisted for a Governor General's Award. The second installment of the Bookweird Trilogy is now available. Check your favourite book store for more weirdness. The writings of Reynard Russet, friend to fictional characters, traveler in the realm of books, substitute librarian and leading expert on the phenomenon of bookweird, can be found at bookweird.com.